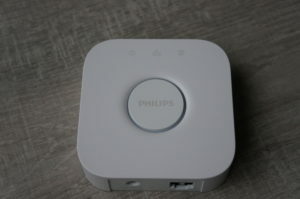 A typical Philips Hue personal wireless LED lighting setup consists of a Philips Hue bridge and one or more Philips Hue bulbs. The devices connect to each other via the ZigBee communication protocol and therefore should be backwards compatible. There are 2 variants of the Hue Bridge. The new version has a number of improvements such as support for Apple HomeKit. If you own(ed) an original Hue Bridge and wish to install a new Hue Bridge you will likely wish to continue to use the older bulbs possibly with some additional new bulbs if you avail of one of the starter kits. The old bulbs and new Hue Bridge are compatible however you may experience some issues when using standard methods to try to find the old bulbs from the new Hue Bridge. Read on for more information on the standard methods then alternative method to detect and connect to the old bulbs.